1. Grind together rice, sago, dal, salt and green chillies. 3. Fry the mustard seeds and curry leaves till the seeds start to splutter. 5. Add the coconut to the batter and make small balls. 6. Deep fry these in hot oil till golden brown. 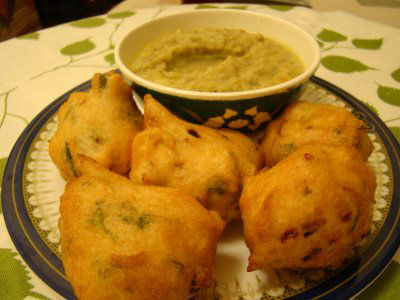 Feel free to comment or share your thoughts on this Masala Cheeyam Recipe from Awesome Cuisine.